Pictures courtesy of the creative folks at Flickr CreativeCommons. Thanks! 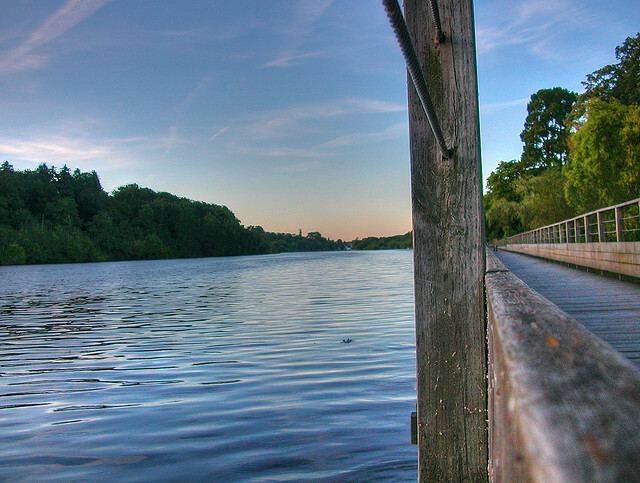 Definitely the best route to run from the center of Nantes is up the Erdre River. 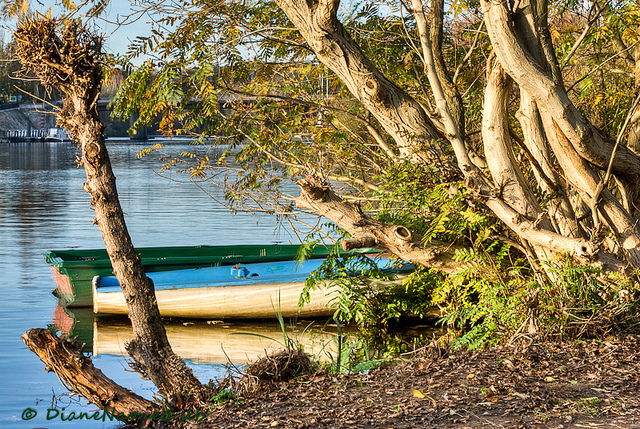 There are paths along both banks, heading upriver for many kilometers, and the scenery is always nice: elegant buildings, pleasant neighborhoods, the university campus, woods, a Japanese garden, and lots of colorful boats and boaters of all shapes and sizes. 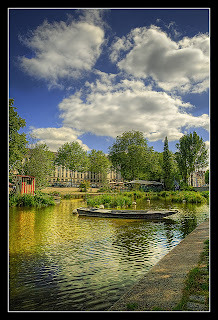 At the beginning, in the center of town, the Erdre looks like a canal set among formal monuments and gardens, but soon it becomes more natural, with occasional woods and ducks. 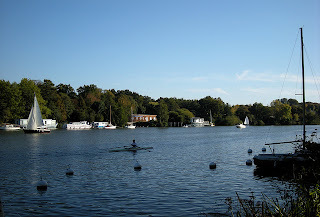 The Erdre is unusual in that it actually gets wider the further upriver you go, looking more like a chain of lakes, although it is not dammed-up. 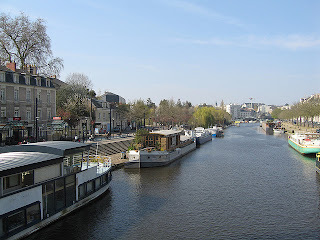 NOTE: Don't confuse the Erdre with Nantes' main river, the Loire. The Erdre flows into the Loire in Nantes, slipping the last 800 meters through the St. Felix Canal tunnel, past the old town. The Loire itself doesn't lend itself to nice running trails, with loud roads lining either side. This route goes up the south bank for 5 km, crosses a bridge at Joneliere, and heads back along the other side. So, if you've now laced up your running shoes, let's get to it! The route starts at Quai Ceineray, where Rue de Strasbourg exits the north end of the old town. This spot is an old harbor, where river boats once unloaded their freight. Turn right on Quai Ceineray and run along the stone-paved embankment. On the right side you'll run past elegant regional government buildings. After 200 meters, the path makes a 90-degree turn to the left to follow the water. 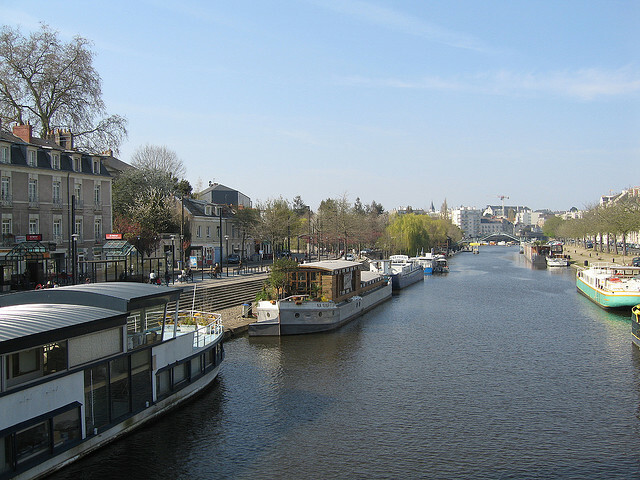 The St. Felix Canal, heads off to the right here, under the raised square, emptying into the Loire 800 meters further east, at the train station. The route description here is easy enough: just stay along the river. In a few spots, you need to go inland a bit to get around a woods, but just always keep heading left get back to the water, keeping the river on your left side. In just 400 meters, you'll see a pedestrian bridge to the Japanese garden on the island, Isle de Versailles. 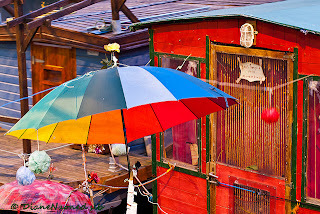 After the next bridge, where the Bateaux Nantais dock is located, there is a sign "Gare Fluvial", where you head down to the footpath at the side of the water. Most of the rest of the way, there is no more riverside road, just the quiet path. 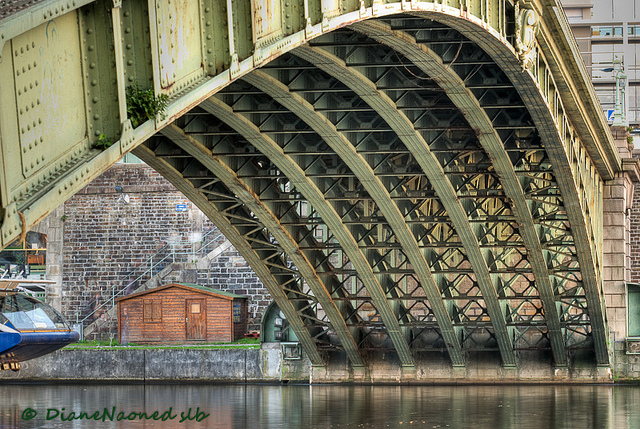 When you pass the next bridge in one kilometer, the Pont de la Tortiere, you will see the Nantes University campus across the river. Keep running along the riverside path. In another 600 meters, at the Navibus dock, the path turns inwards around a woods, but just take the first path to your left to continue northwards along the river. Two kilometers later, after passing a boat club, you'll come to the turn-around point, where two bridges cross the river together at Joneliere. You need to go over the first bridge, the railroad bridge with the one long arch. The second bridge, the loud car-bridge for the NB44 road, has no pedestrian/bicycle lane. First run under the railroad bridge, then turn right to get onto the ramp which will take you up and over the bridge. Another ramp will take you down on the other side. NOTE: you could also just keep running northwards if you don't want to turn around yet. 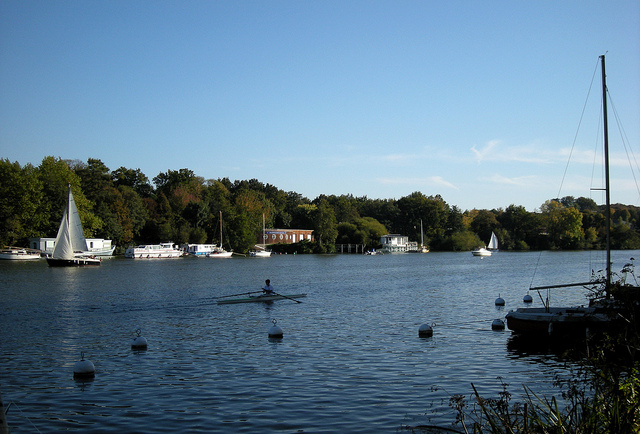 There is a lot more nice Erdre riverside scenery, including the Parc Floral Rosaraie, if you continue northwards. So now you just run back again. Similarly, part of the way has only a walking path, part of the way follows parallel to a street. But the streets are fairly quiet on this side as well. Thanks, Diane. And thanks even more for your beautiful pictures. You are a great talent with the camera!